The first Kia vehicle built in the US has rolled off the company's Georgia facility. 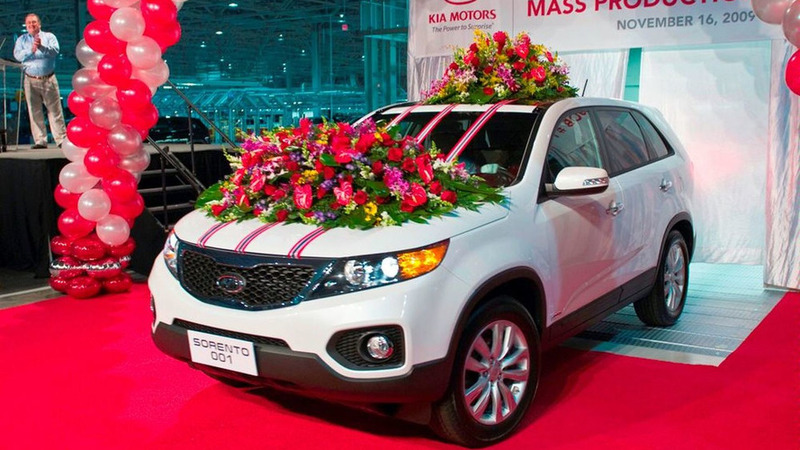 The white was Sorento draped in flowers and ribbons as a welcome to America. Kia Motors has unveiled its first US-built vehicle. 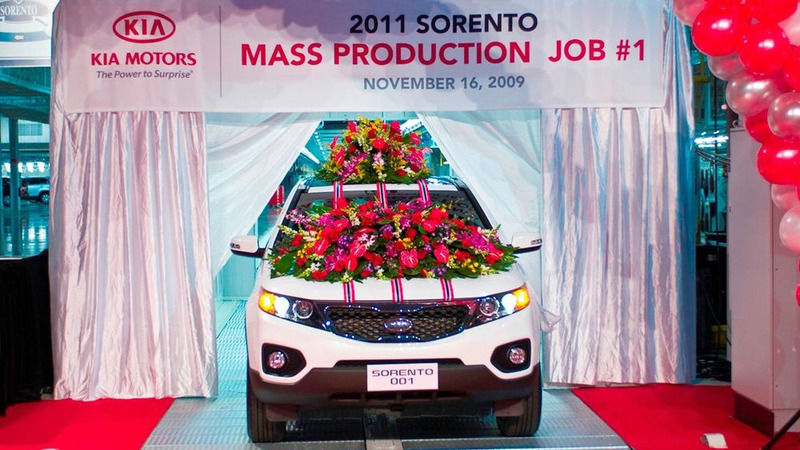 The all-new Sorento crossover came off the Kia Motors Manufacturing Georgia (KMMG) plant. The 2,200 acre facility has a capacity of 300,000 units per year and employs 2,500 people. These figures represent yet another milestone in Kia Motors America's commitment to the country. Kia's US investment currently comes to about US$1.3 billion since 2002. In total the Korean company now has a global production capacity of 2.56 million from locations in North America, Asia, Africa and Eastern Europe. "The start of production at our first manufacturing facility in the United States further demonstrates our commitment to growth in North America and we are proud to be adding 2,500 jobs to the local economy," said B.M. Ahn, President and CEO, Kia Motors America (KMA) and KMMG.